Tis’ the season for baking clean eating Christmas cookies!! Baking season is in full swing and few treats say Christmas like holiday cookies do. Most of us have our annual cookie traditions. Cookies we make every year, regardless of what else is going on, because it’s just not Christmas without them. My mom left me just such a recipe. It’s not clean by any means, but it wouldn’t be Christmas without them, so I splurge once a year. I think most of us do! 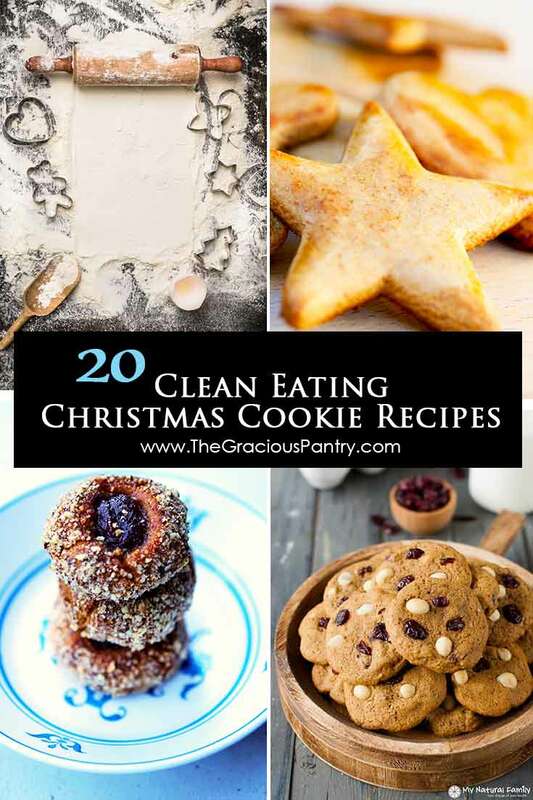 But just in case you want some treats that don’t totally annihilate your eating plan, here is a list of clean eating Christmas cookies you can bake at home without the guilt. Clean, delicious, real-food ingredients that will actually manage to give you a little good nutrition along with your sugar fix.